Wayne is originally from New York, moved to the DC area in 1989 and has played Brazilian Jazz in the nation's capitol since then. Before coming to DC Wayne was a keyboardist and composer for the '80's funk band "SKYY", and received a gold record commemorating their #1 Album "Skyy Line" on Salsoul Records. During his career he has performed with such famous R&B acts as Carl Gardner's Coasters, The Shirelles, The Marvellettes, and Jimmy Norman. Since moving to the DC area, Wayne has recorded on a number of CD's, many of which he co-produced. In 2004, Wayne released his first compilation of original material entitled "Break of Dawn". It featured vocals by four of DC's finest jazz singers, Pam Bricker, Patrick Desantos, Nicki Gonzalez and Steve Washington. Over the years Wayne has done many sessions for ESL Music and Thievery Corporation, and can be heard on remixes by them. 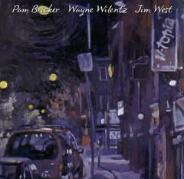 The Wayne Wilentz Quartet released Recordar E Viver (2008) on CDBaby.com. Wayne performs regularly in the DC area. Check his calendar for coming performances. Wayne has performed with such famous R&B acts as The Coasters, The Shirelles, The Marvellettes, and Jimmy Norman. He was a keyboardist and composer for the '80's funk band "SKYY" from 1981 to 1989, and possesses a gold record commemorating their chart-topping Album "Skyy Line" on Salsoul Records. 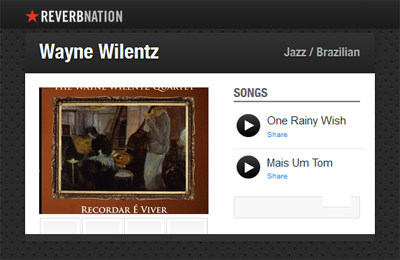 Born in New York City, Wayne moved to Washington in 1989, and has played Brazilian and American Jazz in the nation's capitol since then. Wayne has a B.S. in Speech from Northwestern University, and produced the nightly jazz program on the school's radio station, WNUR. Since moving to the DC area, Wayne has recorded on a number of CD's, many of which he co-produced. Karen Devitt's "Peel Me A Grape" (1991), "Way Out There" by Exodus Quartet (1995), The Wayne Wilentz Trio"...e nossos amigos" (1995), Valucha's "Born In Brazil" (1997), Thievery Corporation's "Songs from The Thievery Hi-Fi" (1998), Pam Bricker, Wayne Wilentz and Jim West's "U-topia" (2000 - Winner of the WAMMIE award for Contemporary Jazz CD of 2000), Michelle Walker's "Slow Down" (2001- Nominee for Independent Record of the Year and a top seller on MP3.com), Karen Gray's "In Good Company" (2002), Thievery Corporation's "The Richest Man In Babylon" (2002), "Chiclete Com Banana" by Nicki Gonzalez, Jamieson Tobey and Wayne Wilentz (2003). 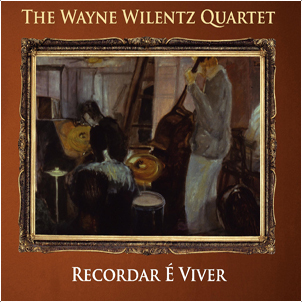 The Wayne Wilentz Quartet recently released their CD "Recordar É Viver". 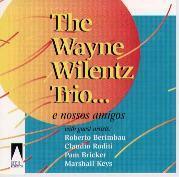 The CD is a reflection of the material they have been working on, including originals by Wayne and David, plus works by great composers from Brazil and the USA, like Chico Buarque, Duke Ellington, Nelson Cavaquinho and Jimi Hendrix. In 2004, Wayne released his first compilation of original material entitled "Break of Dawn". It featured vocals by four of DC's finest jazz singers, Pam Bricker, Patrick Desantos, Nicki Gonzalez and Steve Washington. "Break of Dawn", "U-topia", "Slow Down" and "In Good Company" were all recorded at Backstreet Studios, Wayne's recording studio. Recent efforts from the studio include Liz Briones' debut CD, Renee Tannenbaum's CD "Sway", and the new CD by Diane Daly, "I Ain't Blue". The track "Home At Last" from "U- topia" was included on the ESC Records salute to Steely Dan, "Maestros of Cool" (2006), alongside tracks by Chuck Loeb, Don Braden, Cornelius Bumpus and many other well known artists. Over the years Wayne has done many sessions for ESL Music and Thievery Corporation, and can be heard on remixes by them, particularly on "Dirty Little Secret" from Sarah McLaughlin's remix CD "Bloom". He is also on the new ESL CD by Natalia Clavier entitled "Nectar". 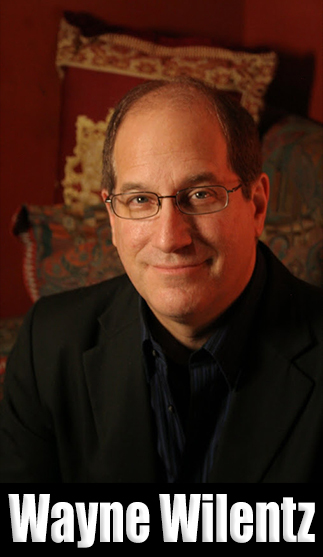 Wayne teaches piano and voice at both the Washington Conservatory of Music and The Jazz Workshop. Plays at the Mansion at Strathmore"